Deadwood (1986) – Pete Dexter. Many of the same characters as the TV show, no swearing though! A Voyage Long and Strange (2008) – Tony Horvitz. On the European adventures and findings in North America prior to the Pilgrims (more than you probably remember from school!). 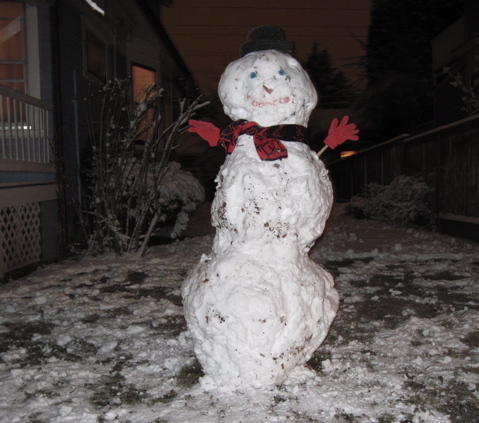 Happy reading and living in the New Year! Starting around 3pm yesterday the snow started flying around, and it was cold enough to stick after awhile. 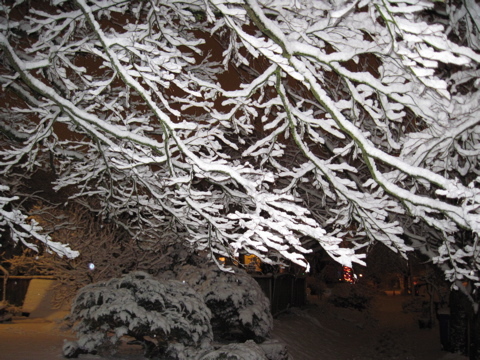 Probably no more than about 4 inches all together, but in the early evening it was lovely. I went out for a walk and took a few shots. Time for the annual list-fest. Here are some of the CDs released this year that I enjoyed most (links go to earlier posts on these releases). Best ‘Top Ten” list I found: Vijay Iyer‘s list in the December Art Forum magazine (unfortunately not online, but I discovered a few of my entries from his list, and had already found some of the others). April 9 – X @ Crystal Ballroom – their 31st anniversary tour! New TSA regulations are for the birds! The TSA isn’t saving lives. We, the passengers, are saving our own. Since its inception, the TSA has been structured in such a way as to prevent specific terror scenarios, attempting to disrupt a handful of insanely specific tactics, while continuing to disenfranchise and demoralize the citizens who are actually doing the work that a billion-dollar government agency—an agency that received an additional $128 million just this year for new checkpoint explosive screening technology—has failed to do. Late this year the final volume of Your Face Tomorrow by Spanish author Javier Marías was translated by Margaret Jull Costa and published in English. Above is the UK edition dust jacket which I really like (in the U.S. the books have been published by New Directions, but I have to say I don’t much like their cover artwork, as seen below). I put in an order with Amazon UK, got the book about a month ago, and just finished the book yesterday. 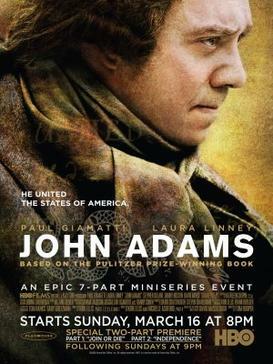 These books are unlike most novels published today, far more meandering and discursive, yet with a keen underlying focus on some of the big topics: secrets, lies, betrayals, violent acts – the ability to both deliver then and live with them, interpreting others both from verbal communication and physical acts. Marías definitely takes his time, drawing the acts of a single evening out for a hundred pages or more, with long conversations and equally long interior monologues. “Poison, Shadow and Farewell” opens and ends with a dedication to Mr. Marías’s father, the philosopher Julián Marías, who died in 2005, and to Peter Russell, an Oxford professor and former intelligence operative who was Britain’s leading academic authority on Iberian history and culture until his death in 2006. In a fundamental sense all of “Your Face Tomorrow” is an extended homage not just to the two men, both of whom appear in slightly altered guise in the novel, but also to their entire generation. During the course of the work Mr. Marías turns repeatedly to the times of World War II and the Spanish Civil War, which he seems to view as more serious than ours, for examples of the moral dilemmas that are perhaps his central concerns, drawing on the experiences of his father and Russell. “Your Face Tomorrow” requires patience, effort and intellectual discipline of the reader. “Poison, Shadow and Farewell” delivers a payoff at the end, but the real challenge, and pleasure, is in getting there. As the review states, these books are both a challenge and a pleasure to read. Lately it seems like between Marías and Roberto Bolaño, some of the best fiction in recent years was written in Spanish. 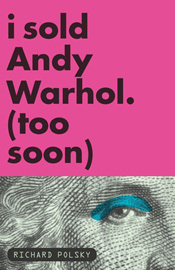 “I Sold Andy Warhol (too soon)” is a follow up to Richard Polsky’s 2003 book “I Bought Andy Warhol” and it continues his stories of the pop art market through the 2006-2008 period of sky-high prices. It’s a quick, fun read, starting with the sale of his Warhol “Fright Wig” piece, and following several other ongoing stories, such as another collector’s quest to buy one of those same pieces soon afterwards, as prices continued to soar. Polsky turns himself into an ‘art financial advisor’ and he discusses some of the unlikely twists and turns of art collecting, such as the story of Leon Kraushar, who began filling his suburban Long Island home in the mid-sixties with now astronomical pop art work from the likes of Warhol, Lichtenstein and Rosenquist. While a few folks get lucky, just as with stocks, by buying low and selling high, it’s generally very hard to truly treat art as an investment. An excerpt from the book can be found here at artnet. This post is one of an on-going series of musical re-discoveries, previously covering artists such as Van Morrison and Neil Young. 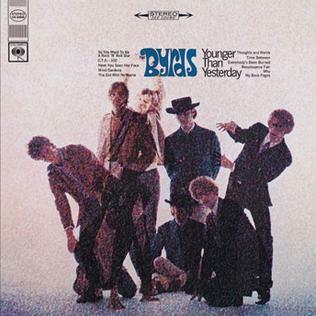 This time, I’ve gone back to the first four albums made by The Byrds, a Los Angeles band that got started in the mid-sixties, led by Roger McGuinn and joined by David Crosby, Gene Clark, Chris Hillman and Michael Clarke. I remember seeing some comments made by Crosby about how they saw the Beatles movie “A Hard Day’s Night” in 1964 and were inspired to go in a pop direction. 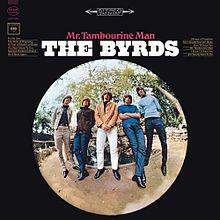 Their first record, Mr Tambourine Man, came out in mid-1965, and featured four Dylan songs along with some originals written by Clark and McGuinn, and some other covers. The band put out another record before the end of 1965, Turn! Turn! Turn!, and then came Fifth Dimension in 1966 (featuring the great single ‘Eight Miles High’), and Younger Than Yesterday in early 1967 with ‘So You Want to be a Rock ‘n’ Roll Star’). As they progressed Crosby began to contribute songs, the Dylan covers lessened, and things got more spacey and psychedelic. While I can’t say that any of these four albums is without a bit of lesser quality filler, considering the speed at which they were working I think it’s understandable, and the highlights are very good. I really love the guitar interplay along with the strong bass sound, first really shining on the song ‘The Bells of Rhymney’ on the first record, and very evident on ‘I’ll Feel a Whole Lot Better’, ‘It Won’t Be Wrong’, ‘Why’, ‘Have You Seen Her Face’. You can get the hits easy enough in a compilation, but really each original album is worth a listen. After these albums the band membership started changing rapidly, and of course there were other important developments instigated largely by Gram Parsons. ‘From Poverty to Prosperity’ by Arnold Kling and Nick Schulz is subtitled ‘Intangible Assets, Hidden Liabilities and the Lasting Triumph over Scarcity’, and it’s an attempt to plot out the direction of what the authors call Economics 2.0. They describe Econ 1.0 as “about scarcity” whereas 2.0 is “about abundance, which arises from technical progress” (p. 4). Another way they describe the difference is by saying that 1.0 is about the hardware – physical materials, their handling and transport, while the new economics pays more attention to the software – the innovation of techniques and recipes, which are not subject to the same laws of scarcity that physical goods are, since recipes can be shared and used simultaneously by many. Traditional economics has not focused in on where technical innovation comes from, treating it instead as something that just appears. A line I liked: “Maybe there is no free lunch, as the saying goes; but we do not have to work nearly as hard to put food on the table as we used to” (p. 4). Economists do seem fond of claiming that ‘there’s no free lunch,’ implying the necessity of tradeoffs, and yet what can come closer to free than a new idea which, for instance, increases the productivity of group of workers (perhaps through a different divisiion of labor), so that the same input effort produces more output? Kling and Schulz make the case that innovation and new technology are what has brought us to a level of prosperity that make everyday life in the developed countries close to what only the wealthiest could enjoy not so long ago. The book consists of chapters by the authors and interviews with a variety of noted economists which shed light on the interesting topics. The initial section uses a number of statistics to show how the developed countries have increased health and lifespan, while the mix of jobs and skills has transitioned over the last century to greatly emphasize thinking and people skills over manual labor. I am in general agreement with their notion that we in the developed countries have benefited greatly from the many innovations that have revolutionized so many areas of production. I would argue however that there are some tangential factors that go along with the technical recipes, such as the important role of cheap energy in the form of oil (though the cheap days seem to be ending), and the role of culture and values. There are many intriguing issues raised in the book, such as the reminder from Paul Romer that “everyone wants growth but nobody wants change,” (p. 104) but they come together. If indeed the speed of innovation will continue to increase, that seems to imply ever more change, and while technology can change quickly, people and skills can have a hard time keeping up. The big lurking dilemna, which the book touches on, is why, given all the advances in our recipes, there still exist so many areas of the world that still suffer great poverty. A chapter in the middle describes the so-called ‘bugs’ in the software, which they name as tribalism, insecure property rights, corruption, unearned income curse (from, for instance, oil), and the lack of knowledge and skills. And these problems are certainly part of the problem to be overcome in the developing world. But there are hints of a deeper issue. A couple times the authors raise the idea that in principle the developing countries could simply adopt the techniques of the developed countries, without any new innovation, and they would reap huge gains. But in general we don’t see this happen. Economist Paul Romer says to get development going, you need establish what he calls the “institutions of the market”; “Get property rights, the basic institutions of security, personal security, a legal system that supports property rights, get those in place and things will be fine” (p. 90), and he then adds that you also need institutions of science. This seems very much easier said than done. I found Joel Mokyr’s answer to be more realistic. When asked about his confidence that institutions can be developed where they don’t exist today, he says “I am hugely skeptical about it. Precisely because if you change the institutions but don’t change the culture, you’re not going to change the institutions” (p. 128). Development economist William Easterly follows up on this point when he says “I don’t think anyone has figured out how to create or change values, or even understands very well the origins of different values in different countries” (p. 176). The development question is not merely a matter of distributing recipes and watching prosperity develop. Recipes often come with buried cultural assumptions that we take for granted, because they are so ingrained for us. These things could include very basic cultural attitudes about the importance of work, the attitudes about the proper role of the two genders, the religious attitudes about older values and change, attitudes about money and trust, as well as more technical attributes like the available skills, the physical infrastructure, the financial infrastructure, etc. Examining and understanding the roots of cultural values may go well beyond the intentions of Economics 2.0, but if they are the foundation of economic institutions, then a shaky understanding at the ground level will continue to be a problem. Update: Take a look at Arnold Kling’s thoughts on the review along with comments. Born into a middle-class Jewish family in the highly anti-Semitic Russia of 1902, little Nutya Kotlyrenko was shipped off to America at the age of eleven, as soon as the family’s finances allowed. At Ellis Island, he took the Americanized surname his brother and cousins had already adopted, Cohn, and unable to write or spell his first name, he left Ellis Island with a botched version of it: Nudie. Nudie Cohn grew up poor in New York City’s garment district, apprenticing under tailors and dressmakers while dreaming of a career in music or the movies. After years of traveling the United States working odd jobs, he wound up back in New York City making g-strings and burlesque costumes for the strippers in Times Square at a shop called Nudie’s for the Ladies. After a number of business ventures and financial hardships, the Russian immigrant who dreamed of being a singin’ cowboy moved out to the San Fernando Valley along with his wife, Bobbie, operating a small tailoring business out of their garage. Unable to afford a decent sewing machine or fabric to work on his own designs, Nudie decided in 1947 that country vocalist Tex Williams would be his springboard into the burgeoning field of cowboy costuming. The story goes on through the fifties, when Nudie makes the shining gold suit for Elvis, and many country stars wear his suits. 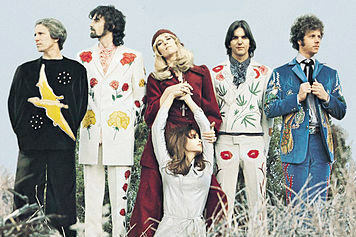 Then things take a dive in the sixties until Gram Parsons, shown above second from the right, engages Nudie to make him and the band a very special set of suits in 1969. A new era dawned. Nudie passed away in 1984.